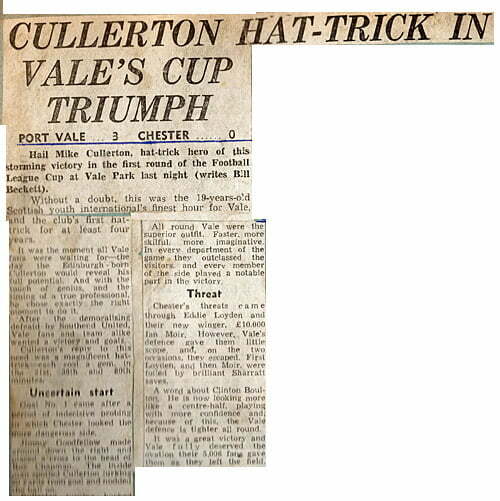 Cullerton started the season in form and netted Vale’s first hat-trick of the season during a 3-0 League Cup win over Chester. The striker finished the season on twelve goals with half his tally coming via the two hat-tricks. 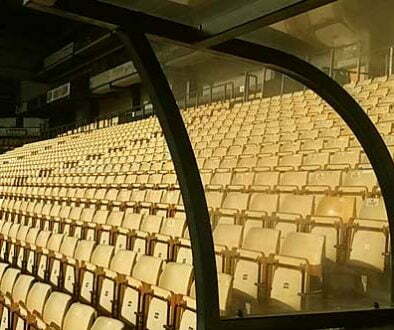 At the end of the season, events on the pitch were overshadowed by FA charges against the club. 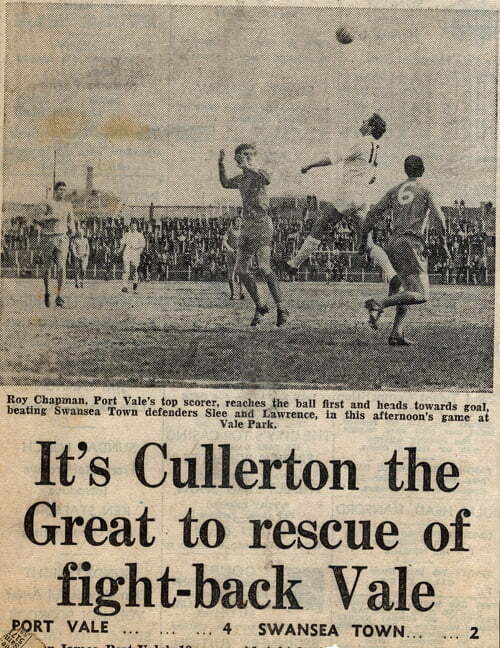 Despite the turmoil, Cullerton stayed with the Valiants. 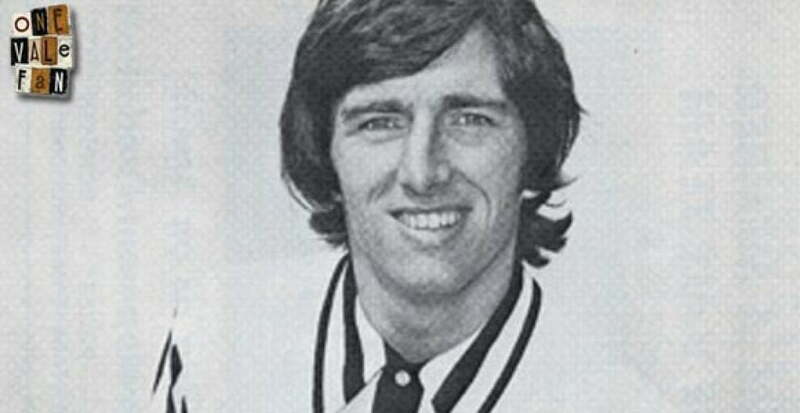 However, his “outspoken” nature saw him loaned to Chester City in 1969 and this was followed by a transfer to Derby County. A prolific scorer for the reserves, Cullerton never made the first-team. 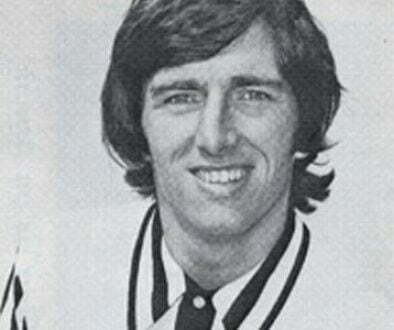 He returned to Vale for a second spell in 1975 and finished his Vale career with fifty goals from 180 appearances. 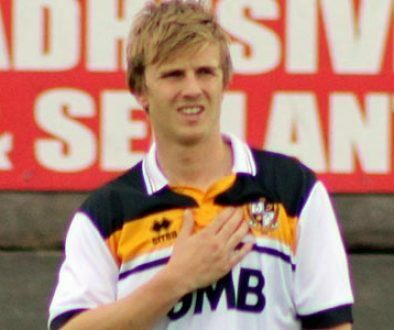 He worked as the Vale’s commercial manager from 1982 to 1985 and has been employed by BBC Radio Stoke as a matchday summariser. This scrapbook with cuttings from the late 1960’s and early 1970’s was kindly provided to OVF by a long-standing Port Vale supporter.